Data breaches caused by third-party vendor relationships are on the rise. Can your organization truly afford to do nothing? Unfortunately, most assessment techniques used to determine a business partner’s cyber readiness are point-in-time and only express a vendor’s cyber health at a particular moment. The problem with these types of audits is that a vendor’s cyber posture can change overnight due to systems and network modifications that are made. In this white paper, learn how a security ratings platform can help companies to continually monitor and respond to changes in the cyber health of their vendor ecosystems. 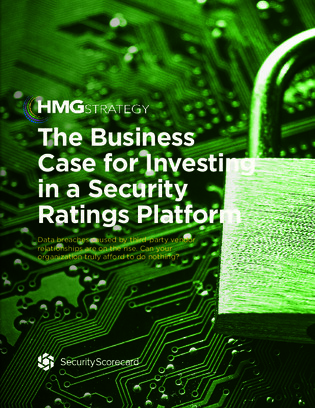 The white paper also outlines a step-by-step approach for building a business case for a security ratings platform.